The red hot Salem Red Sox needed extras to earn their sixth consecutive victory on Friday night, plating the winning run on a wild pitch to prevail 3-2 over Myrtle Beach in the series opener at LewisGale Field. Cody Kukuk looked about as dominant as you can look, tossing six scoreless innings in the Salem Red Sox 6-0 win over the Myrtle Beach Pelicans Friday night. Cody Kukuk posted five scoreless on just five hits to help the Salem Red Sox beat the Wilmington Blue Rocks 5-1 at Frawley Stadium Sunday night. The Frederick Keys scratched across a run in the tenth, and held on for a 7-6 victory over the Salem Red Sox in ten innings at LewisGale Field Tuesday night. The Salem Red Sox scored five runs after the sixth innings to get within a run, but fell 9-8 to the Frederick Keys at LewisGale Field on Monday night. For a second straight night, rain cut the Salem Red Sox and Frederick Keys game short, this time a 6-2 Sox win stopped just before the start of the bottom of the eight inning. A driving rain storm cut the Salem Red Sox and Frederick Keys opener to four and a half innings, just enough for an official game and 3-0 Keys win. 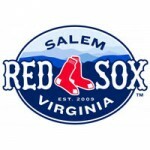 The Salem Red Sox beat the Carolina Mudcats 2-1 at LewisGale Field Thursday night. Ryan Dent smashed a Clayton Cook pitch off the left field wall in the bottom of the ninth to score pinch runner Jose Vinicio to give the Sox their fourth walk-off win of the season. The Salem Red Sox outlasted two rain delays, created two huge innings offensively, and cruised to their first win of the second half behind the fine pitching of Joe Gunkel. The Frederick Keys used a eight run second inning to beat the Salem Red Sox 9-7 at Harry Grove Stadium. The Frederick Keys beat the Salem Red Sox 3-1 in a pitcher’s duel at Harry Grove Stadium. 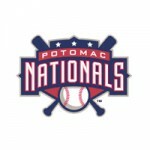 Kevin Heller hit a two run home run in the bottom of the tenth inning to give the Salem Red Sox a 7-6 victory over the Potomac Nationals Saturday night at LewisGale Field. J.B. Wendelken (4-4) improved his record against Salem to 4-0 with seven superb innings as the Winston-Salem Dash took game one of the four-game set, 3-0. Salem went 0-8 with runners in scoring position, dropping the series finale to Carolina 3-1. The Sox managed just one run in the 5th inning when a Tim Roberson groundout to second got Kevin Heller home from third. Jonathan Dziedzic remained perfect into the fifth and struck out eight Red Sox in seven superb innings to lead Wilmington to the winner’s circle on Tuesday night, downing Salem 4-1 at Frawley Stadium. Jack Lopez pummeled a 1-1 fastball from William Cuevas, giving Wilmington a walk-off 4-3 victory over Salem in the series opener at Frawley Stadium. The Salem Red Sox tied a franchise record for the widest margin of victory by blasting the Carolina Mudcats 18-2 on Thursday night at LewisGale Field. William Cuevas dazzled like an ace on Wednesday night, dealing six dominant shutout innings to help the Salem Red Sox beat the Wilmington Blue Rocks 2-1 at LewisGale Field.